All seniors, age 60 and over, are invited to join us for an evening of fun, food, and drinks with your Kanawha friends. Guests, especially former Kanawha members, are welcome. Please bring a heavy appetizer or a side dish to share. Kanawha will provide steaks and drinks. Pat Anderson, Houston Barrick and the KRA tennis staff will be running two youth summer tennis camps the weeks of July 16th-July 20th and August 20th-August 24th for kids ages 6 to 16 years old. The camps will run 9:00AM-12:00 noon. Groups will be arranged by level. Fees for these camps will be as follows: $200 for members and $215 for non-members (the non-member fee also includes the option to swim for the afternoon). The camps will include drills and match play practice. To register or to get more information, contact Pat Anderson at 804-477-4720 or sara.dickey@hotmail.com OR Houston Barrick at 615-482-6864 or houston.barrick@gmail.com. The deadline for on-line registration is Thursday, 7/12, but you may register at Packet Pick-up at Endorphin Fitness , 8908 Patterson Avenue, on Friday evening, from 5:PM to 7:PM. There will NOT be walk-up registration on Saturday morning. However, you may pick up your race packets on Saturday morning before 7:30. We also need volunteers to make this even run smoothly. Here is the link to register to volunteer. Middle and high schoolers who need service hours for school may volunteer if they don't want to compete! The Splash & Dash is open to any child who wants to participate. They do not have to be members of Kanawha. However, they do need to be able to swim 100 meters and run 1 mile. Get your children to invite their friends to join them. We’ve hit the mid-point in the summer and that is usually the time where a few reminders are necessary for everyone’s continued safety at Kanawha. Please read this note through to the end as everyone’s clear understanding of the rules (and please proactively share with your guests as well) makes everything easy on everyone - the membership, the lifeguards and the pool management. Thank you in advance for your support and help! 1. Alcoholic beverages are not permitted anywhere at Kanawha when the pools are open. 2. Smoking is not permitted in the pool area or on the tennis courts. If you choose to smoke, please go to the field, the parking lot, or the gravel road. This includes the use of e-cigarettes or vaping. 3. There has been a lot of discussion on the use of flotation devices with young children. First of all, it is important that children do not use flotation devices so much that they develop a false sense of security. Children need to learn to swim independently, and we do offer swim lessons at KRA. The following flotation devices are allowed, but they may only be used in the L pool: puddle jumpers, safety seals, and standard life jackets with a crotch strap. Water wings are absolutely not allowed. Other flotation devices which force a child to be in a vertical position are discouraged because children need to learn to swim in a horizontal position. The shallow end of the lap pool is just over 4 feet deep. Therefore, non-swimmers are never allowed in the lap pool, which means that children who are wearing flotation devices are never allowed in the lap pool. Children who are wearing flotation devices in the L pool must have a parent in the pool with them, and the parent must be within an arm’s reach of the child. Children who want to go off the diving board must be able to swim to the side using some sort of stroke without a flotation device. 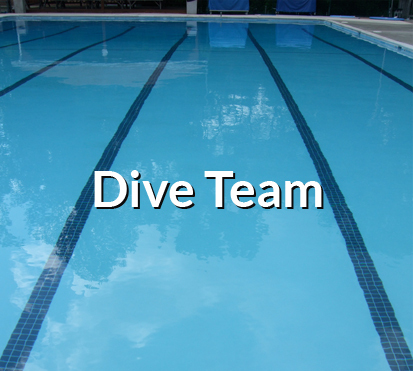 They may not wear a flotation device in the dive well or when they go off the diving board. A parent may be in the pool in front of where the child jumps off the board if the parent thinks the child might need a little reassurance going off the board or getting to the side. However, if the child cannot get to the side independently, he or she is not ready to go off of the diving board. July will be full of special events for the younger members of Kanawha. First will be the Splash & Dash Event on July 14. Then during the week of July 16-20, there will be a Junior Tennis Camp, and there will also be another session of the Junior Tennis Camp during the week of August 20-24. On July 14th, Kanawha is hosting the RVA Splash & Dash Series, and we want to invite everyone to participate! The RVA Splash and Dash Series is a 4-race swim-run series between local swim teams. Each race includes a 100 m swim swim followed by a 1 mi run. Participants compete in each race to win series and team awards plus raise money for our team and the Cameron K Gallagher Foundation. Check out the flyer on the bulletin board by the snack bar and the banner on the main walkway for more information. The event begins at 8:AM on that Saturday morning. To register your child go to www.endorphinfitness.com and click on Races and then click on RVA SPLASH & DASH. This event is open to all children in the area. They do not have to be Kanawha members, so KRA children are encouraged to invite their friends from other pools to participate. Volunteers are also needed to direct traffic, give out water, and make sure everyone is safe. Older teenagers who want to earn school service hours and adults are encouraged to sign up to volunteer. You may use this link to register as a volunteer: https://goo.gl/forms/IsqXX4Xz2LRF4fgq2. To schedule or for additional information, please contact Pat Anderson at 804-477-4720 or sara.dickey@hotmail.com or Houston Barrick at 615-482-6864 or houston.barrick@gmail.com. Just a reminder: Our last home swim meet of this summer is Monday, July 2, so all pools will close at 5:PM. Also, our holiday hours on July 4 are 10-7. July 4 festivities will begin with the Bike Parade at 11:30. If you want to join in on the chicken lunch, please sign up on-line or in the back office by Tuesday, July 3, at noon. Other games and activities will go on after lunch and should be over around 3:30. Join us for a festive day at KRA on July 4. The pool hours that day are 10:AM-7:PM. Special activities begin at 10:AM with a tennis social for adults. (See below for information on that.) Then the children are invited to participate in our bike parade around the pools. The parade will begin at 11:30, and children may decorate their bikes, scooters, wagons, or other wheeled vehicles. Following the parade, there will be a chicken lunch for those who sign up and pay ahead of time. The cost for the chicken lunch is $10.00 per family, and each family is asked to bring a side dish or a salad. You may sign up and pay on-line or in the back office. Around 12:45, we will begin the races and games of the day. There will be family relays, fun relays, coin dives, belly flop contest, big splash contest, and door prizes. All activities should conclude by 3:30. Guests are welcome for all activities, except the tennis social. Here are the details of the adult tennis social. Come out to our July 4th Social from 10:00AM to 12:00PM! The event is free to the membership, and all we ask if for everyone to bring a snack to share. The format will be similar to the Memorial Day social we hosted at the opening of the pool season: we will have one hour of instruction/clinic followed by one hour of play. The doubles teams will vary based on the players who sign up and will be rotated during the hour to include mens doubles, mixed doubles and ladies doubles. Please register for the tennis social using this link: https://www.signupgenius.com/go/60b0945ada829a0f49-july. If you have questions about the tennis social, contact Houston Barrick at houston.barrick@gmail.com or 615-482-6864. On July 14th, Kanawha is hosting the RVA Splash & Dash Series, and we want to invite everyone to participate! The RVA Splash and Dash Series is a 4-race swim-run series between local swim teams. Each race includes a 100 m swim swim followed by a 1 mi run. Participants compete in each race to win series and team awards plus raise money for our team and the Cameron K Gallagher Foundation. Check out the flyer on the bulletin board by the snack bar and the banner on the main walkway for more information. Last week, a coach from Endorphin Fitness came to swim team practice to work with the swimmers on transitioning from swimming to running and getting them excited about participating in the Splash & Dash. Children do not have to be on the swim team to enter this event. All children who can swim 100 meters and run a mile are invited to enter. This event is essentially 2/3 of a triathlon, since there will not be a bike leg, so if your child is looking for a different kind of challenge, this will be fun. We hope to have lots of Kanawha's young athletes participating on July 14. The 2018 directories have arrived. Each family may pick up ONE directory from the gatekeeper. Please check your family's listing for accuracy. If there is an error, please send the correct information to info@krarva.org. If you joined Kanawha after May 25, you will not be listed in this year's directory, but you may pick up one from the gatekeeper. Here are a couple of "housekeeping" reminders. Please remember that the blue rolling bins are for RECYCLABLES ONLY. All trash and garbage must go in the gray receptacles. Recyclables include: empty plastic bottles, empty aluminum cans, newspapers, magazines, and dry, flattened cardboard. The following items are NOT RECYCLABLE: tennis balls, styrofoam cups, pizza boxes, candy wrappers, ice cream wrappers, plastic silverware, napkins, straw wrappers, styrofoam plates. Also, please dispose of your trash and recyclables as soon as you finish eating and drinking. Due to all the rain this summer, the insect population has increased greatly, and trash left on tables and on the deck attracts the insects. Another housekeeping reminder - please dispose of used diapers in COVERED GARBAGE CANS. The trash cans in the restrooms are open, and leaving dirty diapers in them creates an odor problem in the restroom. There is a covered garbage can between the restroom doors, and there are covered garbage cans all around Kanawha. Listed below are tennis clinics for adults which will be held from June 18 through August 24. We want to encourage everyone to participate in the RVA Splash & Dash Series! The RVA Splash and Dash Series is a 4-race swim-run series with local swim teams competing. Kanawha is hosting one of the four races on July 14!! Each race includes a 100 m swim swim followed by a 1 mi run. Participants compete in each race to win series and team awards plus raise money for our team and the Cameron K Gallagher Foundation. Let's win the team trophy! Learn more at http://livered.org/rva-splash-dash/ and register here. 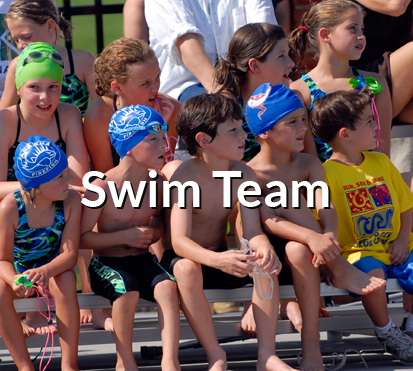 A coach from Endorphin Fitness, which is one of the groups organizing the Splash & Dash Series will be at all swim team practices on Friday, June 22, to talk to our swim team members about participating in the Splash & Dash. He will also lead the swim team in part of their practice that morning. All Kanawha children, who can swim 100 meters and run 1 mile, are invited to participate in the Splash & Dash, though they do need to register. We will also need volunteers for the Splash & Dash on July 14. Teenagers who need service hours for school and adults who want to be part of the fun are welcome to volunteer. The time frame will probably be 7:AM to no later than 10:AM on July 14. Please contact Martha Hodges to volunteer. We will need course marshalls, water stop volunteers, "traffic directors", and other helpers. It’s time!!!!! Who’s ready for some fun? Order your pizzas online at www.krarva.org before Thursday! They will be delivered at 6 p.m. The last day to order pizzas is Thursday, June 14. The DJ will start playing at 4:30, and Kona Ice will arrive around 5:00. Please remember that all guests must pay the $5.00 guest fee. Also, remember that glass is never allowed at Kanawha, and alcohol is not allowed when the pools are open. The weather forecast for Sunday does mention thunderstorms, so all Firefish and their families need to make a NO-STORM dance a part of their morning warm up routine. Due to the fact that this is exam week for the high schoolers and some middle schoolers in public school, the logistics of making up this meet get very complicated. Therefore, the meet will take place, unless there is thunder and lightning. That means that if there is rain without thunder and lightning, the meet will take place. Also, if thunder and lightning occur before the meet is finished, we are required by JRAC to wait for an hour before we make any decisions. You might want to bring rain coats, umbrellas, and extra towels. As long as the weather cooperates, we are planning to start swimming warm-ups promptly at 2:15 for Kanawha and promptly at 2:30 for Ridge Top, and we plan to start the meet promptly at 3:00. We are hoping that with our nice 8-lane pool, we can move the meet along quickly and finish it before the storms move in. Please help us out by arriving promptly and helping your children get to the Clerk of the Course as soon as they are called. IMPORTANT REMINDER - ALL POOLS WILL CLOSE AT 2:PM ON SUNDAY, JUNE 10, DUE TO A HOME SWIM MEET. The Kanawha Firefish welcome Ridge Top on Sunday afternoon in a meet that begins at 3:00. In order, to get set up for the meet, all pools will close at 2:00. For safety reasons, we must close all the pools during the meet. We apologize for having short hours on a weekend, but the schedule is made by the James River Aquatic Club, and public schools are still in session. The next home meet will be on June 18, and the pools will close at 5:00 that day. Pat Anderson, Houston Barrick, and the KRA tennis staff will be running two youth summer tennis camps the weeks of July 16th-July 20th and August 20th-August 24th for kids ages 6 to 16 years old. The camps will run 9:00AM-12:00 noon. Groups will be arranged by level. Fees for these camps will be as follows: $200 for members and $215 for non-members (the non-member fee also includes the option to swim for the afternoon). The camps will include drills and match play practice. Session II August 20-August 24. To schedule or for additional information, please contact Pat Anderson @ 804-477-4720 or sara.dickey@hotmail.com or Houston Barrick @ 615-482-6864 or houston.barrick@gmail.com. Once again, there will be a deep water aerobics class at Kanawha. The class will meet on Tuesday and Thursday evenings, from 6:30 until 7:15, starting June 26 and running through August 16. You will need your own belt as this class is held in the dive well. The fee for the class is $60.00 for members and $75.00 for non-members. In order to register, please contact Martha Hodges. A minimum of 10 people is needed to hold the class. Don't miss out on all the fun! Pat Anderson, Houston Barrick and the KRA staff will be running two youth tennis camps the week of July 16th-20th and August 20th-24th for kids ages 6 to 16. The camps will run from 9:00am - 12:00 noon. Groups will be arranged by level. Fees are $200 for members and $215 non members (the non member fee also includes the option to swim for the afternoon). Camps will include drills and match play practice. Please call or email Houston Barrick if you are interested (615-482-6864 or houston.barrick@gmail.com). 1. All pools will close at 2:PM on Sunday, June 10, for a home swim meet. We apologize for the short hours on a Sunday, but the meet schedule is set by the James River Aquatic Club. For safety reasons, all pools must close during swim meets. Our other 2 home meets are on June 18 and July 2, both of which are on Mondays. We will close at 5:PM those days. 2. Please remember that since the last day for public schools is June 15, we will operate on reduced hours on weekdays through June 14. The hours on Monday to Friday through June 14 are 11:AM-7:PM. We will start the 10:AM-9:PM weekday schedule on Friday, June 15. Regular weekend hours have already begun. The Saturday hours are 10:AM-8:PM, and the Sunday hours are 11:AM-8:PM. 3. If you search for Kanawha Pool on Google and just look at the information on the Google page, you do not get complete information on the pool hours. That is not our web site, and it just gives brief information. That lists our hours as they are when we are on a regular schedule, but that doesn't begin until June 15. For a complete listing of the pool hours, you must go to the web site (www.krarva.org), click on FACILITIES, and then click on POOL HOURS. There you will find a very detailed list of the pool hours. 4. Please remember that the shallow end of the new competition pool is deeper than the shallow end of the old competition pool, and many of your children cannot stand in there. Therefore, NO NON-SWIMMERS are allowed in the competition pool. Non-swimmers must use the L pool. Children using approved flotation devices may not be in the competition pool. Children using flotation devices in the L pool must have a parent in the pool with them. 5. Please be very diligent about throwing away trash as soon as you finish eating and drinking. As a result of all the recent rain, the insect population has multiplied, and they are really attracted to all the food and trash that is left on tables, on the playground, and on the ground. Also remember that the gray receptacles are for trash, and the blue receptacles are for recyclables (plastic bottles, aluminum cans, dry flattened cardboard). Pizza boxes may not be recycled. The Summer Tennis Camps for the juniors are conducted in sessions with the dates listed below. You can email Danny at dlfariss@yahoo.com or Houston at Houston.barrick@gmail.com to register your child for any of the sessions. 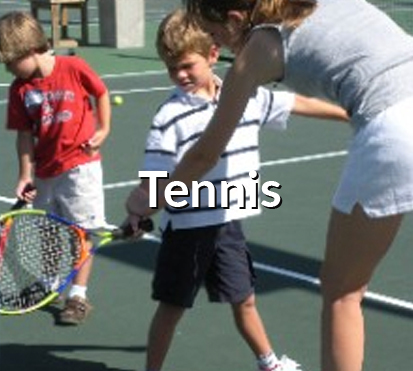 This camp is for kids looking to build a foundation of the basic tennis strokes and rules. Other fundamentals include working on hand-eye coordination, tennis movements, and racket strength. We will be using the red balls and 36’ court with shorter rackets to promote early success and proper technique. This camp is for juniors needing additional instruction while preparing to learn how to rally a ball. Other fundamentals including learning how to serve will also be taught. We will be using the red balls and 36’ court with shorter rackets to promote early success and proper technique. This camp is for juniors who have progressed passed the red ball and are transitioning to the 60’ court and larger rackets. Players will learn where to stand in singles and doubles play and learn how to keep score to prepare them for match play. This camp is designed for junior players who are playing Junior Team Tennis and are looking to play or have played USTA tournaments. This is for the more serious junior looking to get a good workout and play points with other junior players. The children on the swim team have already had a week to enjoy our wonderful new Tom Hoy Competition Pool, and now it's the adults' turn. Early Bird Lap Swim will begin on Wednesday, May 30, at 6:AM. The lap pool will be open for laps on Mondays, Wednesdays, Thursdays, and Fridays from 6:AM to 8:AM through August 31. If you have registered for the Masters group, you may come to Early Bird and swim on your own until Masters begins on June 18 with no additional charge. For those of you who are not in the Masters group, but who are going to swim on your own all summer, there is a one-time $20.00 fee. You may pay the fee the first time you come. Please note, there is never Early Bird Swim on Tuesdays. Also, this year July 4 is a Wednesday, and there will not be Early Bird or Masters on July 4. Sign up with your email address to receive KRA Member news and updates! Thank you! You will now receive KRA Member news and updates!